As the days on the calendar move closer and closer to the first day of spring, I find myself thinking less about comfort food and more about fruits and salads. Healthy lunch smoothies have become a favorite way for me to add fruits to my diet. Smoothies have been all the rage for quite some time. The problem with smoothies is that they can hide a whole lot of calories in a glass. That means we have to be careful with our ingredients and aware of the resulting calorie count when consuming smoothies. With that in mind, I've been building a collection of favorite smoothie recipes that are both delicious and calorie conscious. Today's smoothie is one of my favorite lunch smoothies. 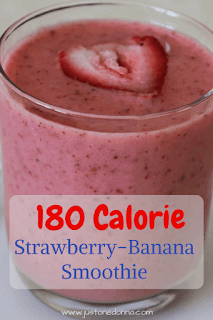 It weighs in at 180 calories, with 38 grams of carbohydrates, five grams of fiber, and three grams of protein. Some days I use frozen strawberries and a frozen banana. The frozen fruit makes a very thick smoothie in the consistency of soft serve ice cream. When I have my thick, frozen smoothie for lunch I feel like I'm am being very decadent. Other days I'll thaw the strawberries and use a fresh banana which results in a smoothie that is much thinner in consistency. You can also add water, or a little more coconut water to thin the smoothie if you prefer your smoothies to be of a very thin consistency. Don't be afraid to use frozen berries when making smoothies. I have found frozen berries to be superior to the fresh berries in my grocery store's produce department. The frozen berries I have used have been consistently at peak ripeness which results in a very flavorful smoothie. When you use great berries you won't find it necessary to add any sweeteners. Freezing bananas is a great way to be sure you always have bananas on hand that are at the perfect ripeness for your smoothies. As my bananas ripen, I remove the peel and wrap each banana individually in plastic wrap. Then I put the individually wrapped bananas in a resealable plastic bag in the freezer. In addition to the smoothies, you can also use the thawed bananas in your favorite banana bread recipe or for a batch of banana cupcakes with maple frosting. Place all of the ingredients in a blender and blend for 20-30 seconds, or until you achieve the consistency you like. 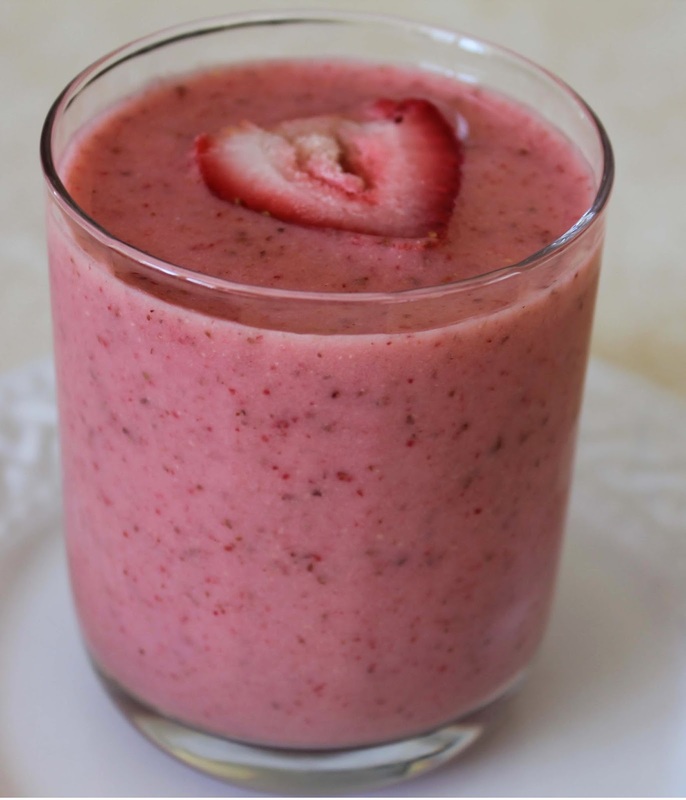 Use frozen fruit for a very thick smoothie. 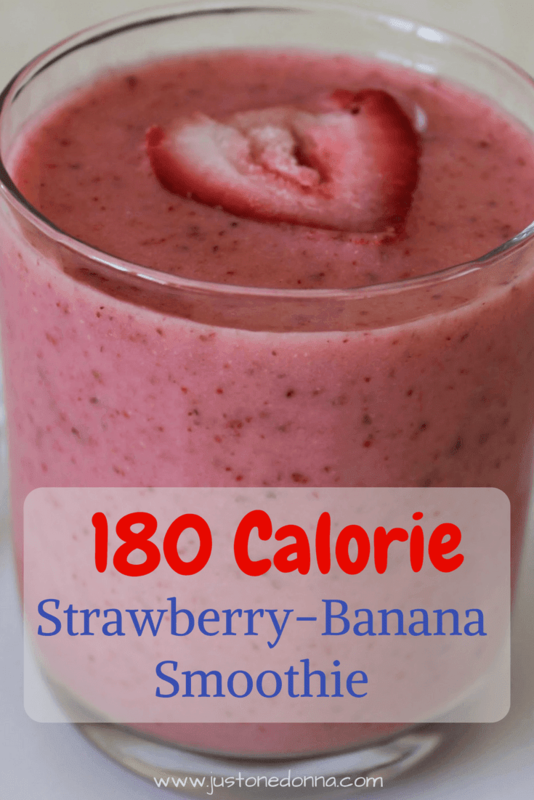 Thank you for sharing this smoothie recipe on Facebook, Twitter, Pinterest, and Yummly.